An Angel in New York: Peter Shankman, CEO of The Geek Factory Inc.
New York City born and raised, Peter Shankman is the founder of Help a Reporter Out (HARO), a group that helps journalists crowd source their needs by submitting queries to public relations professionals who refer them to experts on specific topics. The database provides journalists with more than 200,000 sources willing to be quoted in the media. In June 2010, Vocus, Inc., for whom Shankman served as vice president and small business evangelist, acquired HARO. 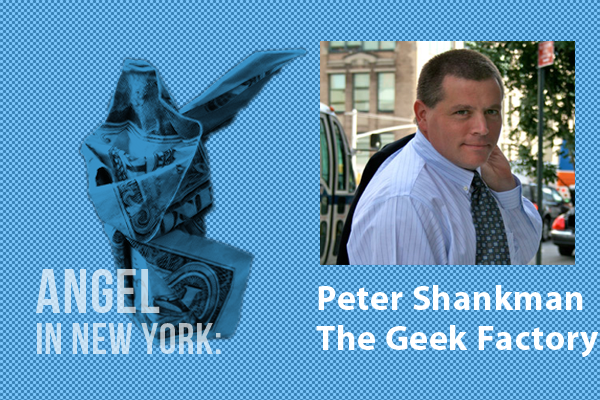 Shankman is also the founder and CEO of The Geek Factory Inc., a boutique social media, marketing and PR firm located in New York City. His clients have included American Express, Sprint, Snapple Beverage Group, the U.S. Department of Defense, New Frontier Media and Napster, among others. He is the author of three books and a frequent keynote speaker and workshop presenter at trade shows and conferences worldwide. In March 2013, Shankman announced he was leaving HARO and Vocus as he awaited the birth of his first child and finished writing his third book. He is a graduate of Boston University and began his career as a senior news editor at America Online. Next Starting Your Own Business — Are You Ready to Be an Entrepreneur?